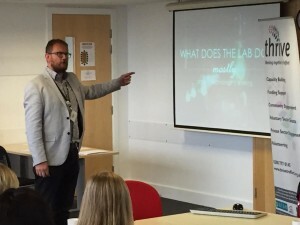 Open Data Surgeries – Like ‘Embarrassing Bodies’, but with data – Open Data Aha! 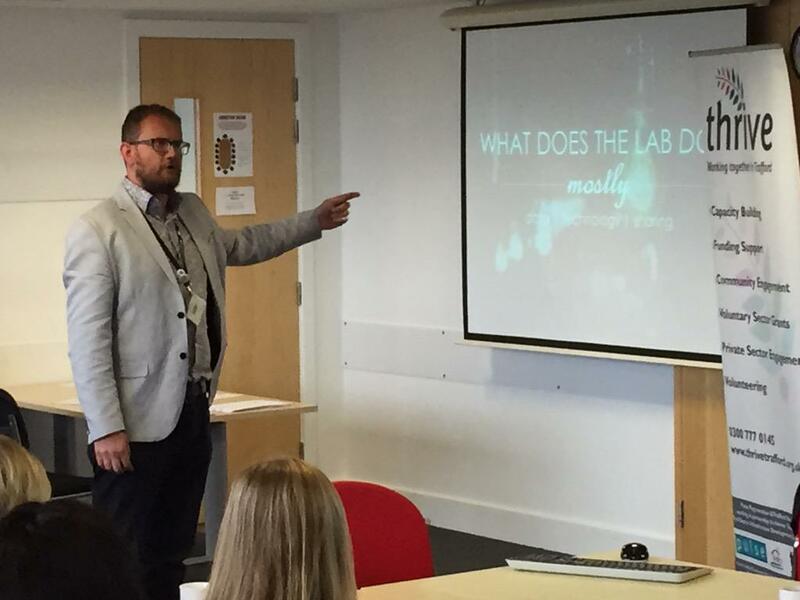 This post was originally published on the Trafford Innovation and Intelligence Lab blog. In July 2015 we held our first open data surgery. We met a lot of groups and were able to talk to them about the sorts of things that we could do with data to support their work, including writing bids for funding. On Friday 17th July, we held our first ever open data surgery. We sat in a room, and invited people to come and talk to us about data. Now I acknowledge that open data by itself is not necessarily the biggest draw, so we decided to piggyback on the launch of Trafford’s Equality Grants – £20,000 handed out by Trafford’s Diverse Communities Partnership to projects that will increase employability in disadvantaged groups. We knew there would be sizeable number of groups there to hear about the grant, so I asked the organisors if I could have ten minutes to talk about the Lab, and what we might be able to do to help with writing bids, etc. The talk itself went really well – people seemed to really respond well to the idea that we could help them source data to evidence a need for their service or project; to allow them to understand where their project might be most successful; or (and this is potentially amazing) even be able to take some of their data off them, to allow them to contribute to the Big Picture that we’re developing of Trafford. After my bit, Chris from Thrive spoke about the form that needed to be filled in, and the eligibility criteria for the grant. Then the drop-in started. So who came to see us then? Trafford CIL provide a support service to the 4,500 or so carers in Trafford. They are preparing to carry out a comprehensive survey of carers in Trafford, and wanted to know if we would want the responses. We spoke about the sorts of data that it would be useful to collect, such as postcode (for geocoding). We also spoke about what we might be able to do with the data, in terms of mapping, etc. The CIL did have concerns that we might take their data, and then sell it (something that we would not do). The outcome of this conversation was that the CIL will send us the questionnaire before they distribute it, to make sure nothing useful is missed, and we will take it from there. Luxson are a company who have recently moved into The Fuse, in Partington. They wanted to get an understanding of the Partington area, so that they could better help the community. We spoke about the area profiles that we are developing, the very first part of which can be seen here. Lydia from Luxson agreed to be part of the test group as we develop the profiles. FAST offers support and advice to Asian communities, with a particular focus on the Old Trafford area. They had an idea for a project that would support Asian women to get jobs, and wanted to understand the ethnic make-up of Old Trafford. 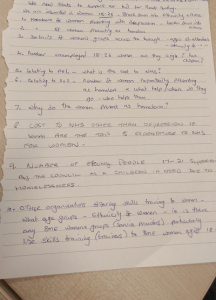 We spoke about the census and how there is a detailed breakdown of ethnicities and languages, and that that might be of use to the group. We also spoke about the potential of using the school census as a more up-to-date way of gauging ethnic composition of different areas. We said we’d send Linda from FAST the Census data, and take it from there. We spoke about the service that THHG provide – helping people who are hard of hearing to access lip-reading training, advice on using hearing aids, etc. They were interested in understanding where the groups potential clients would be – eg how they can tap into referral data from audiology departments of hospitals. We spoke about personally identifiable data, and how we wouldn’t be able to pass that on. We did mention that we might be able to aggregate location data to, for example Ward. We also explained the demographic data that we have available, and that we can tell the group where there are higher proportions of over 60s, an area of focus for THHG. Great discussion with Karen about the place of Art in society. From a data point of view, we helped convert hours of volunteering into a cash equivalent, using minimum wage, plus 20%. We also spoke about which secondary schools offer arts subjects at GCSE and A-Level, and we agreed to look into this. We also said that we should be able to categorise and release Trafford’s voluntary sector grants and Trafford Housing Trust’s Community Panel funding, to show proportionate giving to art/culture projects. In my presentation to the group, I mentioned that one of the pieces of work that we had carried out was a profile of the area around Coppice Library, to support the new friends Group, and BlueSci. Dan from Trafford Housing Trust asked for this piece of work, which we’ll send. We also spoke very briefly about how the report was quite high level, and that we could tailor the data to his specific needs. We didn’t have an appointment system. Rather – we had a big round table. This meant that we ended up with different groups sat with us at the same time, having conversations about data. It would have been better had we been able to show the data to the groups that were there – so that they could go away and do it themselves. We are not quite there yet, but hopefully will be in the next few months. I would highly recommend this approach to connecting people and organisations with data. I had some really good conversations with people who are really trying to help their communities, and we, in turn, can help them. The Chair of the Diverse Communities Partnership sat in on part of the drop-in. At the end he stood up, announced “It’s like that Embarrassing Bodies, but with data” and walked off.